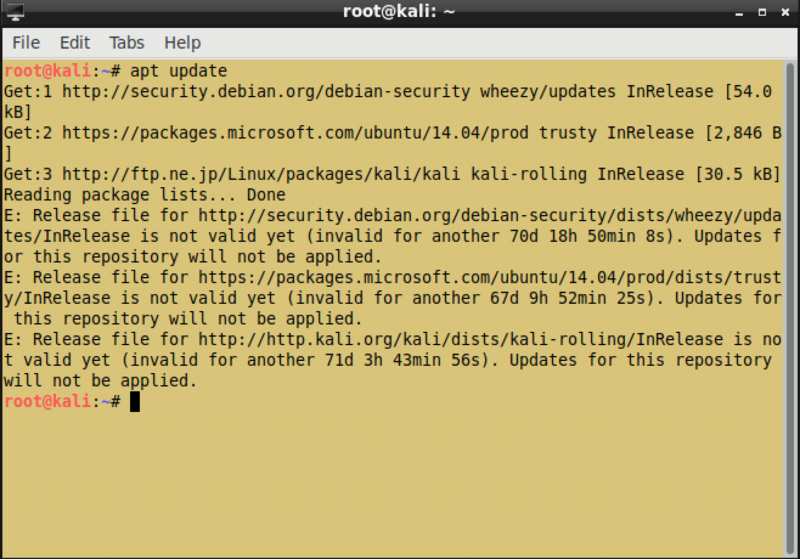 E: Release file for http://http.kali.org/kali/dists/kali-rolling/InRelease is not valid yet (invalid for another 71d 3h 43min 56s). Updates for this repository will not be applied. sudo date —set “2018/06/17 17:00"